Kingdom of Ash... What a book! Not only is it nearly 1000 pages in length but it has so much going on from start to finish, by the time I was reading the last few pages and remembering where it started I was left wondering how this was the same book. Despite giving this 5 stars, I feel slightly sad about writing this review. This was a bittersweet read for me as the Throne of Glass series holds a lot of nostalgia for me. One of the first fantasy books I ever picked up, I devoured all the books that were out (I believe Queen of shadows had just been released?) and was eager to read the next release as soon as I could. And reading this book, knowing it was the last time I would experience these characters for the first time, I was sad. Don't get me wrong, I think a lot of why I loved this book so much was just being back in this world with these characters again and seeing them go through challenges that both destroyed and rebuilt them. Despite being so big, it never felt like a choir to pick up and devour a good 50 pages in a single sitting, which is something I have been struggling to do recently (uni brought on a big reading slump). At times, the plot dragged a little but that is to be expected with Sarah J Mass - I don't think it would be one of her books if there weren't moments with twice as much description than needed. I also felt like the characters could have all met up a lot sooner. If you are up to date with the series, you will know that all the main characters have split into four or five groups which are all over the place - and then those groups through the book split up more and converge again until finally all coming together in the last 10th or so of the book. It sad that this series has now ended, but it was still a great ending and one I thoroughly enjoyed. It just served for a reminder of how far these characters have come - if you read the Throne of Glass, skipped the rest of the books and read this one, I think you would really struggle to find any characters that remotely resemble the ones in that first book. I can't for what other things Sarah J Mass has for us in store! Hi, I'm Kizzi, and welcome to my blog! 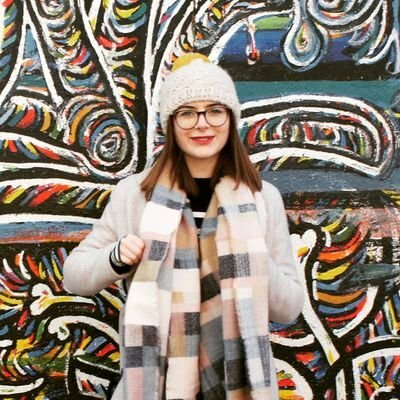 I am a UK blogger who loves to talk anything book related! The main genre I read is fantasy as I love their elements of weird and wonderfulness! I am currently working on outlining my first novel and I want to keep a record as I work my way through it, so plan on posting updates every now and again when I get to any big land marks but I post more updates on my Instagram account so feel free to check that out in the link below. Thank you for visiting my blog and happy readings!